Shelton Brothers has been importing beer from The Netherlands since the early days of the “specialty bier” movement. The beer scene there has had its ups and downs, but starting with the founding of Brouwerij de Molen, there’s been a steady upswing in the quality and quantity of craft breweries around the country. De Molen’s Menno Olivier became famous for his big, complicated stouts, keeping pace with U.S. brewers in that scene. 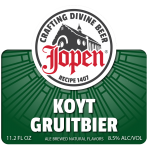 Though all the acclaim went to these beers, he also does a bang-up job with the lower alcohol, balanced, drinkable beers as well. Menno, along with the venerable Brouwerij ‘t Ij, inspired a new wave of brewers, including our friends at Rooie Dop, Oersoep, De Witte Leeuw, Oedipus, and many others. In De Wildemann, a great 200-year-old bar (and one of the original craft beer bars) with a treacherous staircase leading to the bathroom. They serve 25 or 30 different local beers on tap. We were there a long time before Anthony Bourdain. So there. Bier Koning, a beer store that promotes good Dutch beer but also inspires Dutch brewers by bringing in great stuff from all over the world. Bier Tempel, one of the first places in Europe to really promote American beers, which, in turn, did a lot to improve Dutch beer. Arendsnest, one of the first bars to be devoted exclusively to Dutch craft beer. The biergarten at Brouwerij ‘t Ij, one of the best spots to hang out in Amsterdam. It’s only open till 8, but it’s the kind of place people go after work every day of the week. There’s also Borefts, the best festival in The Netherlands (and one of the best in the world). It’s hosted by De Molen and features some of the best brewers in the world.